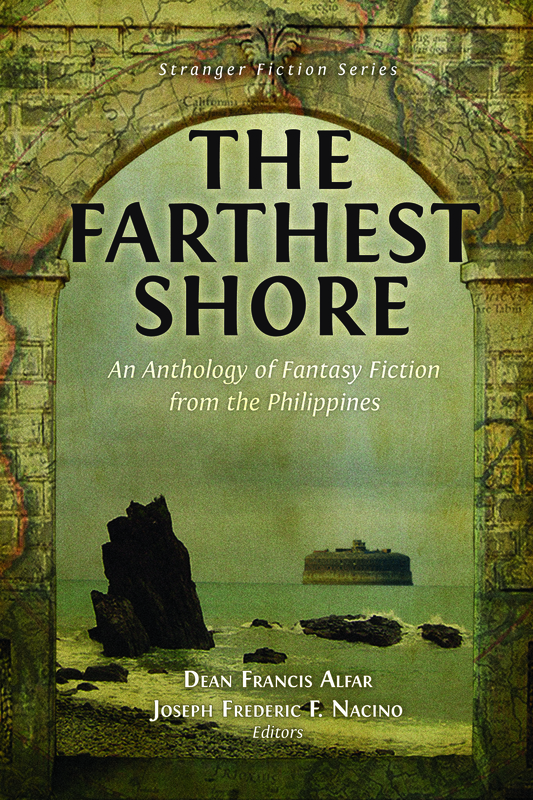 The anthology The Farthest Shore: An Anthology of Fantasy Fiction from the Philippines is a homage to secondary world stories in the vein of J. R. R. Tolkien’s The Lord of the Rings, Frank Herbert’s Dune, and George R. R. Martin’s A Game of Thrones. Though the latter stories had fantastical settings only faintly similar to our reality and populated by monsters that had absolutely no relation to our creatures of the night, these books still developed a love in us for the fantastic and helped us appreciate the magic of our own stories. This is also a homage to the third book of Ursula K. Le Guin’s trilogy set in the Earthsea Archipelago, a fantastical world made up of islands. Like Le Guin’s The Farthest Shore, this book comes from an archipelago of islands with a thousand and one magical stories to tell. But here, you’ll encounter stories like a gigantic turtle-like beast traveling in space, to a young woman’s cry for justice in an imagined world, and to a witch-queen intent on escaping a deal with the devil. Welcome to the shores created by Filipino imagination. Welcome to The Farthest Shore.